Mary E. LePoidevin, age 80, of Miles City. 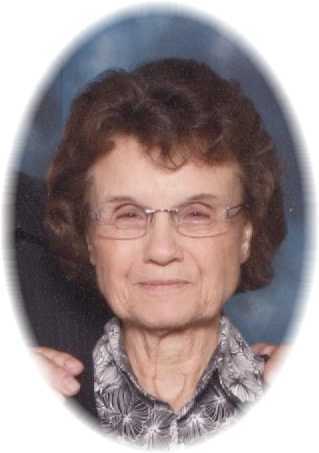 Mary (Curl) LePoidevin passed away early morning on Jan. 30, 2019 in her home in Miles City, MT at the age of 80. Mary was born on Dec. 21, 1938 in Hot Springs, SD in Fall River County. She was the second child of Barney and Caroline (Albright) Curl of Edgemont, SD. Mary lived and attended all 12 grades in Edgemont, SD. After graduation she attended the Business College in Rapid City, SD. She then returned to Edgemont to work at the bank. Mary later attended one year of Bible College in North Dakota. It was there that she meet Floyd LePoidevin. Mary and Floyd were married on Oct. 7, 1960 at the Assembly of God Church in Edgemont. After living in the state of Washington a short time, Mary and Floyd entered the ministry and pastored churches in South Dakota, North Dakota and Montana. The last church they served was in Broadus, MT. They retired from there in 1999 after serving that church for 27 years. Mary was always faithful to support and encourage her husband; faithful to keep the home and teach her children the ways of the Lord; faithful to serve in the churches wherever needed; faithful in serving others and most of all faithful to her Lord and Savior Jesus Christ. She taught many children and young people in Sunday school and youth groups, as well as serving many, many church dinners in her lifetime. After retirement, Mary worked alongside Floyd on several church building construction projects in Arizona, Wyoming and Montana. Mary was preceded in death by her father Barney and brother John. Mary is survived by her husband Floyd, mother Caroline Curl of Edgemont and three sons, Bert (Marie) of Miles City; Reed of Indianapolis, IN and Cord (Diane) of Cicero, IN; one grandson, Grant of Indianapolis. Funeral services will be held on Friday, February 8, 2019 at 10:00 a.m. at the Lighthouse Assembly of God Church. Private family interment will be held in the Forsyth Cemetery. Condolences may be sent to the family by visiting: www.stevensonandsons.com. Our hearts are broken at the lost of such a beautiful woman of the Lord. She taught the women of her congregation to love the Lord, their husbands and children by the example she provided. She gave so much hospitality to the Missionary workers as they visited the church. We ask the Lord to comfort her family throughout this time of loss knowing how loved and respected she was by her church family. My sympathy to Marys family. She will be missed by everyone who knew her. She was a wonderful person and everything a pastors wife should be. I treasure my memories of her and Floyd at AOG church in Broadus. She has earned her reward. I hope to meet her soon on the other side. Heaven is rejoicing today. Mary’s gentle guidance and nature will be missed. Our prayers are with you all. Floyd and family, Sorry to hear of Mary’s passing, she was always such a great person. Was amazed that she remembered me the last time I saw her not so long ago in Broadus. May your many wonderful memories of her bring you joy at this stressful time. Prayers for you all. My thoughts and prayers are with your families in your time of loss. May you find comfort in your memories. Floyd and Family, So sorry to hear of your loss. Mary was such a kind and gentle lady. Our thoughts and prayers are with you all. LePoidevin Family. So sorry for your loss. Thoughts and prayers are with you all. I was saddened to read about Mary’s passing. I always enjoyed seeing you two at the yard sales and Farmer’s Market in Miles City. Share my sympathy with your boys and their families. We are so very sorry! Mary was a dear lady who will be missed. She displayed such a love of her Lord and you could feel His presence every time you talked to her. You are all in our prayers. Sending love and comfort to Floyd, Bert and Marie, Reed, Cord, Diane and Grant and mother Caroline and family! Mary was such a sweetheart and a beautiful gentle soul. May she find everlasting peace with her savior Jesus Christ!